These new Handmade Cufflinks match one of our unique Designed By Don Ties. The material is made up of the same 100% Jacquard Silk. The base is 16mm round. These new Handmade Cufflinks match one of our unique Designed By Don Ties. The material is made up of the same 100% Jacquard Silk. The base is 16mm round. These new Handmade Cufflinks match one of our unique Designed By Don Ties. The material is made up of the same 100% Jacquard Silk. The base is 16mm round. These new Handmade Cufflinks match one of our unique Designed By Don Ties. The material is made up of the same 100% Jacquard Silk. The base is 16mm round. These new Handmade Cufflink matches one of our unique Designed By Don Ties. The material is made up of the same 100% Jacquard Silk. The base is 16mm round. These new Handmade Cufflinks match one of our unique Designed By Don Ties. The material is made up of the same 100% Jacquard Silk. The base is 16mm round. These new Handmade Cufflinks match one of our unique Designed By Don Ties. The material is made up of the same 100% Jacquard Silk. The base is 16mm round. These new Handmade Cufflinks match one of our unique Designed By Don Ties. The material is made up of the same 100% Jacquard Silk. The base is 16mm round. These new Handmade Cufflinks match one of our unique Designed By Don Ties. The material is made up of the same 100% Jacquard Silk as the neckties. The base is 16mm round. These new Handmade Cufflinks match one of our unique Designed By Don Ties. The material is made up of the same 100% Jacquard Silk. The base is 16mm round. These new Handmade Cufflinks match one of our unique Designed By Don Ties. The material is made up of the same 100% Jacquard Silk as the ties. The base is 16mm round. 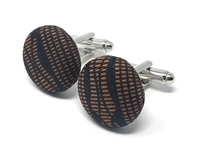 See our unique Designed By Don Handmade Cufflinks. The base is 18mm round. 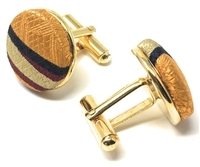 See our unique Designed By Don Handmade Cufflinks. The base is 18mm round. 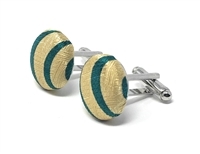 See our unique Handmade Designed By Don Handmade Cufflinks. The base is 18mm round base. These new Handmade Cufflinks match one of our unique Designed By Don Ties. The material is made up of the same 100% Jacquard Silk as the neckties. The base is 16mm round.